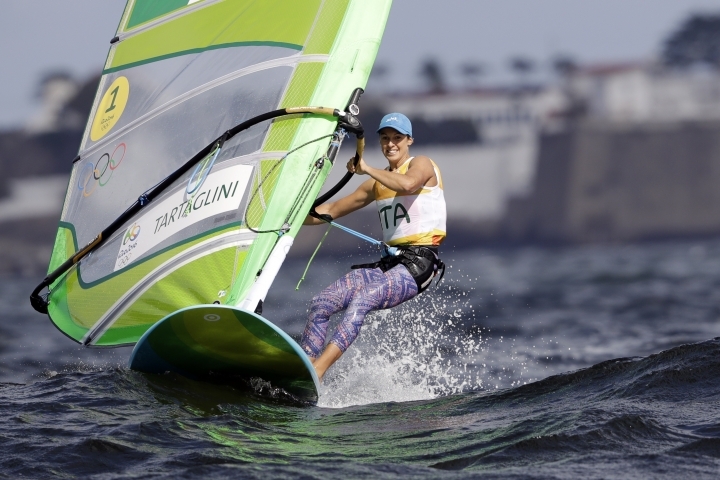 RIO DE JANEIRO — A Belgian woman who won a 2012 bronze medal has become sick, the first Olympic competitor to fall ill after sailing the polluted waters of Guanabara Bay. 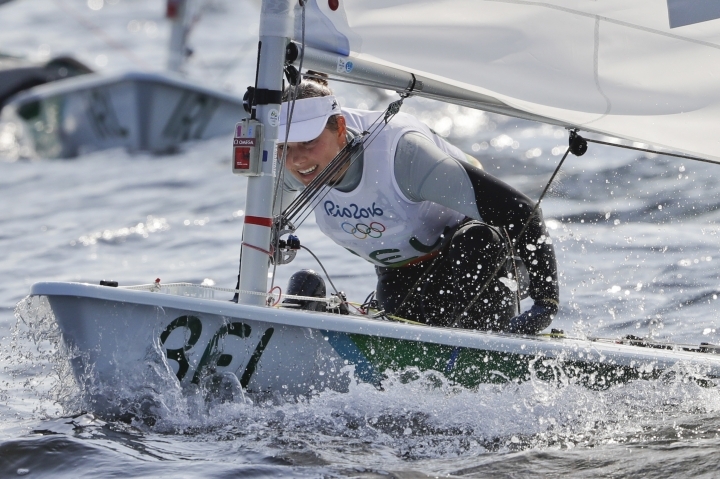 Evi Van Acker reported feeling sick after Wednesday's races, the governing body World Sailing said. 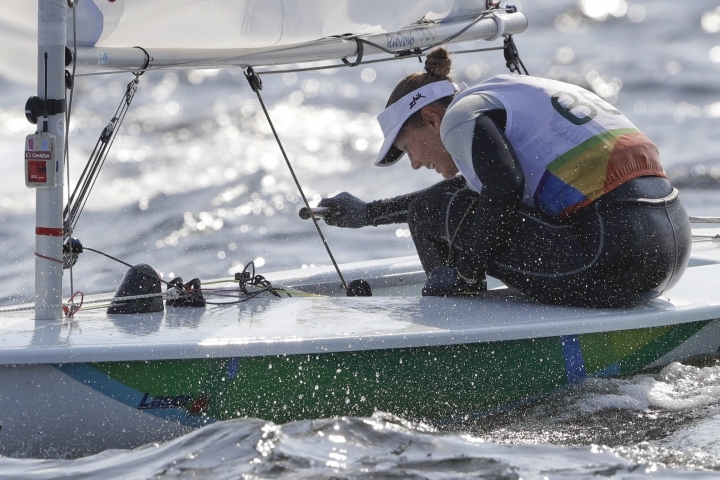 Her poor performances have put her at risk of missing out on a medal in the Laser Radial class. Her coach told the Belgian VRT network he believes Van Acker contracted a severe intestinal infection while training in Rio de Janeiro last month. The poor quality of Guanabara Bay was at the forefront of the buildup to the Olympics. An independent study by The Associated Press has shown high levels of viruses in the water as well as bacteria from human sewage. Van Acker was evaluated by the chief medical officer and the Belgian medical team, World Sailing spokesman Darryl Seibel said. He added that this appears to be an isolated case and Van Acker is the only sailor who has reported feeling ill in the opening days of the regatta. Van Acker had a "serious gastrointestinal infection a few weeks ago," the Belgian Olympic Committee said in a statement. "She has not fully recovered. It makes it difficult for her to go through long periods of sustained effort." The committee said a physiologist is working with Van Acker leading to the next races Friday "so she can get the most out of her energy reserves." German sailor Erik Heil, however, was treated for several infections he said were caused by polluted water during a Rio test regatta a year ago. He sails in the 49er class in which the two-man crew is splashed the whole race. That class is also prone to capsizes. The 49er competition begins Friday. As the games approached, most sailors tried to deflect talk from the foul water to the competition. "That's a shame," Denmark's Allan Norregaard said about Van Acker's illness. "I don't have much comment on that." Norregaard had been outspoken about the pollution in Guanabara Bay, particularly the amount of trash in the water. "It's a lot better now than it was," said Norregaard, who changed subjects and said the weather conditions on some courses are "just not suitable for the games. ... It's scandalous." At a test event a year ago, sailors complained about the stench of sewage flowing into the harbor at the venue, the Marina da Gloria, just yards from where the boats are launched. That problem was fixed earlier this year when a new sewage system was installed to stop brown, untreated sludge from being poured into the small harbor. Seibel said that every morning World Sailing's medical and technical officials evaluate the latest water quality testing data provided by the government to make certain conditions acceptable. "The standard our team uses in assessing water quality is the World Health Organization standard for primary contact (even though sailing is classified as a secondary contact sport)," Seibel said in an email. "For every day of competition thus far, and in the lead-up to the games, the water quality has met this standard." Britain's Giles Scott continued to lead the Finn class with finishes of 11th and first. American Caleb Paine of San Diego went 14-2 to jump into fourth, just two points out of the bronze medal, but was disqualified from the day's second race after a protest and dropped to 15th. In men's windsurfing, defending gold medalist Dorian van Rijsselberghe of the Netherlands had finishes of fourth, first and first to power into the lead over Britain's Nick Dempsey.